Northampton, MA—After a rousing success last year, Arts Night Out and the Northampton Community Arts Trust host another festive Open House and Art Market on Friday evening, December 12, 5-8 pm at 33 Hawley Street. The market continues on Saturday, December 13, 10 am-3 pm. 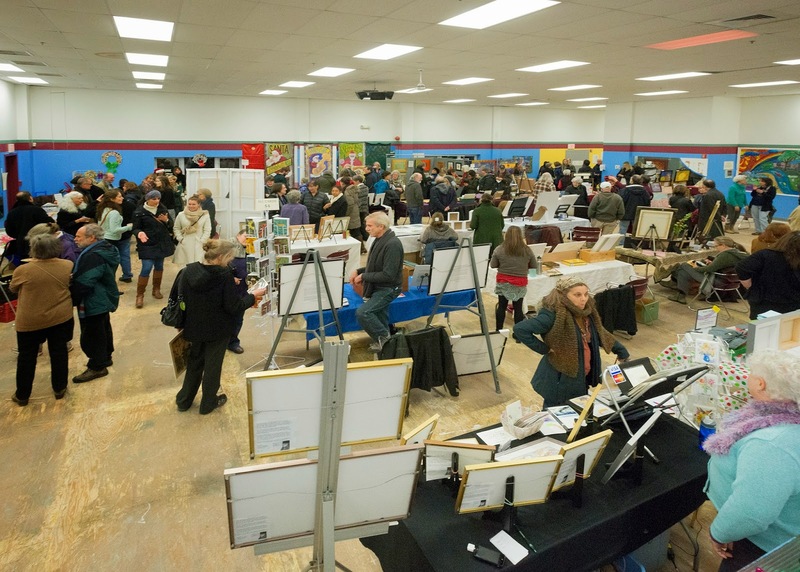 The public is invited to browse and buy work displayed by participating artists while viewing the building, currently in transition from fitness center to affordable creative space for the community. The latest architectural renderings of the project are also on display. All sales are cash and carry, with 10 percent of the proceeds donated to the Northampton Community Arts Trust. The informal Friday evening event features light refreshments, a wine bar, and music by Mando Paradiso. Archguitar Peter Blanchette joins on both Friday and Saturday. DO YOU LOVE AND SUPPORT THE ARTS? 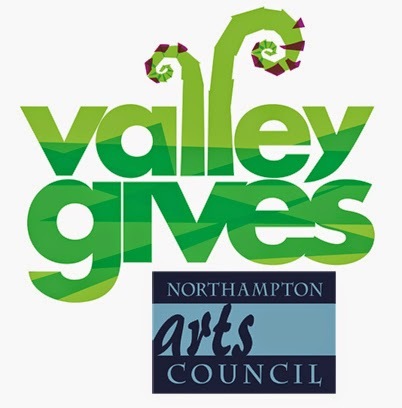 The Northampton Arts Council encourages you to participate in Valley Gives. On Wednesday December 10, 2014, residents of Hampden, Hampshire, and Franklin Counties will join in 24 hours of special events and online campaigns to support local non-profit organizations. The Northampton Arts Council asks its' supporters to consider making an online donation by clicking here so that we can continue our awesome annual events like the Silver Chord Bowl and Transperformance and also keep giving grants to local artists, schools, and arts organizations. The more of individuals who contribute, the better our chances will be to win one of the special Valley Gives matching grant prizes. First Night Northampton 2015 - 30th Anniversary! Button Up and Countdown for First Night Northampton 2015 - 30th Anniversary! On Wednesday, December 31st, the public is invited to a 12-hour, family-friendly festival of the arts presented by the Northampton Center for the Arts and PeoplesBank. For the 30th time, the city of Northampton hosts its signature New Year’s Eve event, boasting an astounding array of entertainment at 20 downtown venues.